You want big, fast and bad? THIS. IS. YOUR. SLIDE. 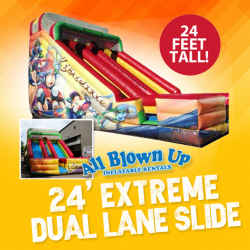 The LARGEST slide in the area measuring a whopping 24 feet tall. 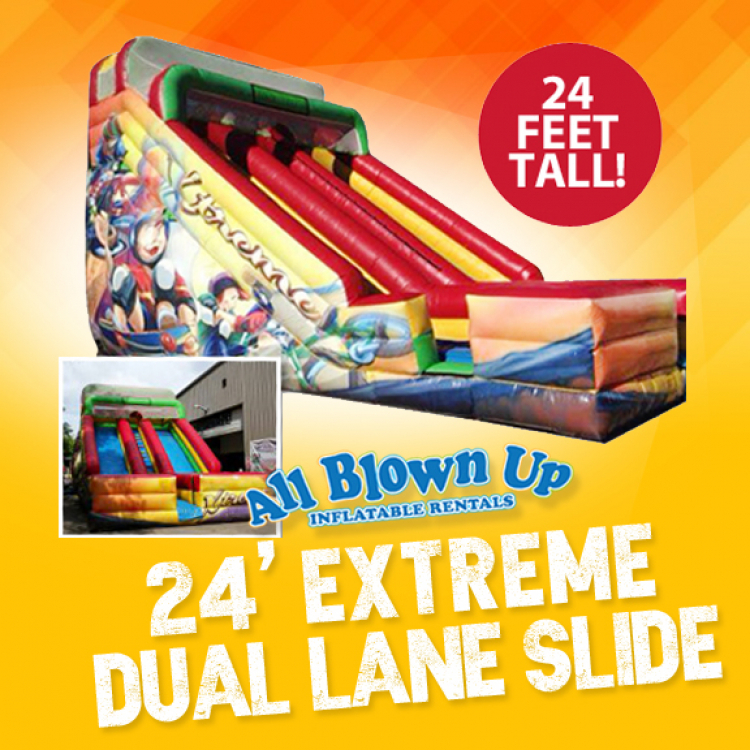 Guests will reach a max speed and excitement on this EXTREME inflatable! This is a dry slide mainly for large events.